IP Proudly Welcomes The One and Only John “JR” Robinson! 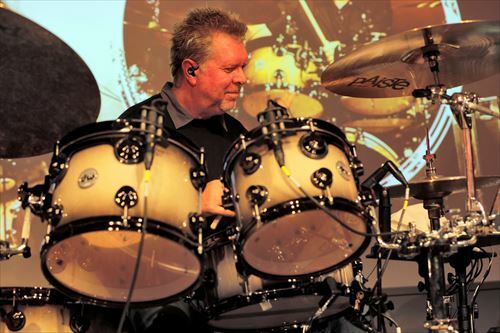 When it comes to iconic names in drumming, few have left such an immense mark on the history of music as this man. Since the late 1970s, Grammy-winner John “JR” Robinson has been at the forefront of recorded music and the shear magnitude of hit records that he’s played on is astounding. Songs that changed the face of popular music. Soundtracks-of-our-lives type songs. Just a few of the titles JR played on include We Are The World, All Night Long, I’m So Excited, Express Yourself, Higher Love, Don’t Stop Till You Get Enough, Rock With You, Change The World, the list goes on and on. John “JR” Robinson’s playing on the track “Ain’t Nobody”, by Rufus & Chaka Khan continues to inspire countless drummers who are learning to play funk music funkier. His work on Michael Jackson’s ground-breaking record Off The Wall established his place as the first-call session drummer and to this day, he remains close with producer Quincy Jones. John’s relationships with legends David Foster and Barbara Streisand spans decades and he’s appeared on soundtracks for many of our favorite movies including My Cousin Vinnie, Independence Day, Anchorman, and Pirates Of the Caribbean. In 2016, JR made Rolling Stone’s Top 100 Greatest Drummers of All time, further cementing his legacy. We at Innovative Percussion are honored and thrilled to welcome John “JR” Robinson to our family of artists. Stay tuned for more exciting news regarding our collaborations with JR, coming very soon!